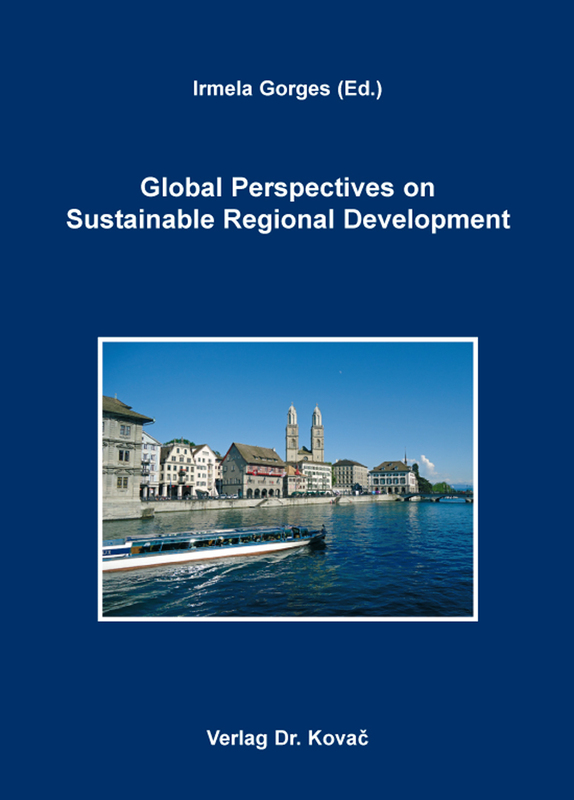 Global Perspectives on Sustainable Regional Development. Tagungsband von Irmela Gorges (Ed. ), Verlag Dr. Kovač 2015, 342 S.
The present volume is interdisciplinary in scope, written for economists, social scientists, civil servants, environmental protectionists, and individuals alike who are interested and working in the field of sustainable development. The volume is a compilation of mainly research results from economics covering seven areas of sustainable development: the political impact on sustainable societal and economic development, the relevance of an organized service sector, sustainable innovation and its management, tertiary education as an important factor of sustainable development, the classical theme of sustainable environmental development, considerations and examples of sustainable development in sub-Saharan Africa, and the book finally concludes with three articles on current theories of capitalism. The articles all share the present definition and application areas of sustainable development which includes a variety of sustainable goals and themes relevant across the globe. The authors are mainly professors of economics in Europe and the USA. Most of them look at sustainable developments from a Polish perspective, while three authors take a US American perspective, and the author from the Caribbean Island Barbados compares the tertiary education system in his country to those in the USA and in the European countries. Correspondingly, the authors tackle disparate practical problems that affect countries on different continents, as for instance the transition from a socialist to a capitalist political and economic system, the minimum wage problem, the question of how to build clusters in order to improve the innovation ecosystem, the gender issue and its relevance for innovativeness, the example of the autonomous car, the importance of the universities’ cooperation with external stake-holders, the necessity of new management theories for innovative enterprises, the effectiveness of tertiary education in Poland and the issues of financing studies from the viewpoint of a small island Barbados, of sustaining the fight against alimentation problems as well as to shape sustainable patient-centered care in Sub-Saharan Africa, to mention some of them./to name but a few. Finally, confronting the capitalist mindset and a theory on consumption with criticism of neoliberal capitalism, from the viewpoints of an American and two Polish professors of economics, should stimulate the reader’s own judgment on how modern societies should further sustainably develop.